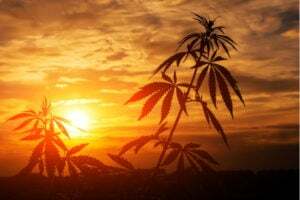 There’s one obvious piece of good news in Monday’s fiscal-third-quarter earnings report from cannabis producer Aphria (NYSE:APHA). Revenue rose 617% year-over-year. But that aside, the Q3 release looks disappointing – and investors have reacted as such. APHA stock is down 12% as of this writing. For some investors, the revenue growth might be enough. Investors in marijuana plays like Aphria stock presumably know that it will take time for the market to develop. As a result, marijuana producers are likely to run at a loss as they build their respective businesses. But in a sector whose valuations have soared this year — APHA stock was up 77% YTD before the release — anything short of perfection might not be enough. And given the multitude of options investors have in the space, it’s tougher after earnings to make the case for Aphria stock as the most attractive choice in cannabis. Relative to year-prior periods, Aphria’s growth looks impressive. Against expectations, however, the quarter seems to have fallen short. Revenue of C$73.6 million was nearly C$10 million lower than consensus. An adjusted net loss of C$0.20 per share widened year-over-year, and missed the Street by C$0.16. To be sure, investors don’t necessarily need to overreact to the shortfall against analyst expectations. Only three analysts appear to have made revenue estimates, and just one for EPS. Revenue modeling is going to be inexact for some time, given how new the industry is. And earnings at this point simply don’t matter all that much: Aphria, like its peers, is investing now to build the infrastucture needed to supply existing and new markets for years to come. Even with that caveat, however, the numbers don’t look particularly impressive. Most of the 600%-plus revenue growth was acquired, primarily through the recent purchase of Germany’s CC Pharma. CC Pharma is a pharmaceutical distribution company with only modest cannabis exposure at this point. Aurora’s production revenue rose 73%; a solid figure, but not quite spectacular in the context of a price-to-production-revenue multiple that still is over 30x. Meanwhile, those distribution revenues led margins to crash. Gross margin dropped from 47% to 18%. Aphria’s own release cites very thin margins for CC Pharma: only about 4% in terms of EBITDA. That’s admittedly not surprising — most distributors have narrow margins — but it colors the reported revenue growth. In that context, the numbers aren’t as impressive as the headlines suggest. Aphria is growing its pot business – but perhaps not as fast as a $2 billion-plus valuation suggests it should be. Beyond results, the Q3 release offered two more pieces of data, neither of which looks particularly positive for Aphria stock. First, it took a C$50 million impairment on assets acquired in Latin America. Those assets were purchased just last year — and were the subject of an investigation by short-sellers who claimed company insiders had inflated the purchase prices, and benefited in the process. APHA stock has rallied since falling on that report. But the company admitted back in February that the purchases were made “near the top of the range of observable valuation metrics.” It noted, too, that its own investigation had found that directors had undisclosed conflicts of interest during the acquisition process. Now Aphria has written down the value of the assets by roughly 20%. The company still claims that it got a good price, citing a current C$225 million valuation against “the original agreed purchase price” of about C$195 million. But in a cannabis market that has soared since, a decent deal doesn’t look quite as attractive. And with the company attributing the write-down to lower-than-expected margins from the business — just a few quarters after those deals closed — there’s an obvious worry that more bad news is on the way. The second piece of news is that Green Growth Brands (OTCMKTS:GGBXF) has called off its attempt to acquire Aphria. The news admittedly isn’t all that surprising. Green Growth’s offer was odd, as Luke Lango on this site pointed out at the time. It actually valued APHA stock at less than market value — and still does. And Aphria is getting C$89 million in cash as a result of the deal breaking through a somewhat complicated transaction. (It’s basically redeeming a note it’s owed by a third party, who is paying Aphria via funds raised by selling Green Growth Brands shares back to the company.) That’s more funding for the company’s rollout – and perhaps M&A. Still, the end of that deal raises the question: is there another potential partner for Aphria? We’ve seen Constellation Brands (NYSE:STZ, NYSE:STZ.B) take a stake in Canopy Growth (NYSE:CGC). Altria (NYSE:MO) has done the same with Cronos (NASDAQ:CRON). Can Aphria compete against those big boys without a well-heeled partner of its own? To be sure, Q3 results don’t break the case for Aphria stock or marijuana stocks more broadly, but they do raise more red flags and add to the sense that investors interested in the cannabis sector might look elsewhere for value. The billions of dollars in capital backing Canopy and Cronos give those companies a notable edge. The writedown of the Latin American assets adds another risk to APHA, even with new management on board. Other stocks in the sector have fallen on Aphria’s earnings. CGC stock is off nearly 4%, and CRON is down 8% as of this writing. With those stocks cheaper and Aphria disappointing, there’s a case that bigger, and maybe cleaner, is better. With so much risk to APHA stock already present from a valuation standpoint, there’s not much room for anything else. That’s why APHA is falling today and why it might underperform for quite a while going forward. Article printed from InvestorPlace Media, https://investorplace.com/2019/04/aphria-stock-takes-deserved-hit-disappointing-earnings/.